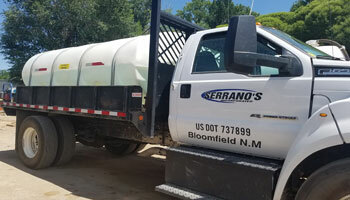 Serrano’s Inc. provides other services to include delivery of potable water, delivery and rental and trash basket containers, delivery and rental of roll-off dumpsters and tractor truck belly dump services. Serrano’s Inc. delivers potable water to the oil and gas industry’s job sites throughout San Juan County and Southern Colorado. Water is essential at every site. Our water delivery allows customers to maintain normal function of everyday living. Showers and toilets are all needed to allow for normal, functional living onsite; therefore, water delivery is essential for jobsite operations. Water is one of our most precious resources and we understand that unplanned downtime will impact your bottom-line. Our water delivery is reliable and ready for your call! Serrano’s Inc. offers rental of trash basket containers including delivery and pick-up throughout San Juan County and Southern Colorado. These containers are for commercial use only. 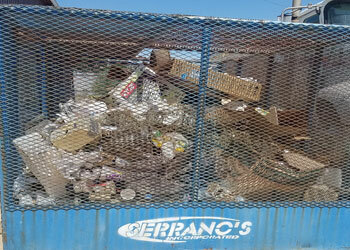 Serrano’s Inc. offers dumpster rentals including delivery and pick-up throughout San Juan County and Southern Colorado. Contact us to schedule a rental for your next bulk trash container on your next construction project or cleanup job. 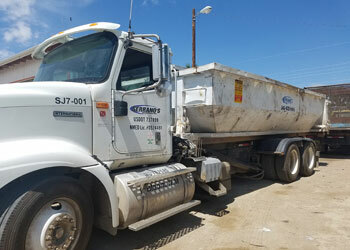 Serrano’s Inc. provides belly dump services to haul bulky goods or heavy materials on your oilfield or construction site. 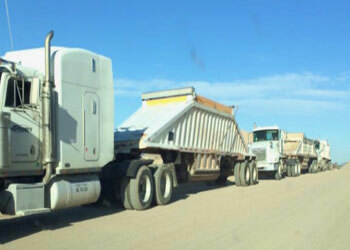 We have belly dump trailers to haul heavy loads of loose materials, such as asphalt, base rock, or any fill material. Belly dump trailers are semi-enclosed trailers that are typically used to transport large demolition debris, asphalt, and other materials. The trailers are constructed with raised sides and an open top, fully equipped with a gate in the bottom of the trailer for unloading.